OTTAWA - The federal government asks Canadian telecom companies for private customer information about 1.2 million times each year, documents released Tuesday by the federal privacy commissioner's office show. It is unclear how many of those requests are made without a warrant. But figures provided to the office in late 2011 show wireless telecom companies complied with the government's requests for customer data at least 784,756 times. However, the actual total is likely even greater, since only three of nine telecom companies told the commissioner's office how many times they granted the government's requests for customer data. The numbers came to light Tuesday as Canada's acting privacy commissioner revealed that telecom companies have refused to disclose how often they release confidential customer information to the federal government without a warrant. Chantal Bernier, the interim privacy commissioner, said her office has repeatedly asked telecom companies to disclose statistics and the scope of warrantless disclosure of data, but to no avail. "I'm not disputing that there are times when there is no time to get a warrant — life is in danger," Bernier said. "What we would like is for those warrantless disclosures to simply be represented in statistics so that Canadians have an idea of the scope of the phenomenon." Bernier said the companies have only provided her office with aggregate data, which shows how many times the telecom industry as a whole gives the government customer information without a warrant. In 2011, the privacy commissioner's office asked 12 telecom companies for information about their customer-disclosure data. The Canadian Wireless Telecommunications Association, which represents the industry, replied with aggregate data from nine of the 12 companies. On Tuesday, Bernier's office provided media outlets with a copy of the association's response, which reveals that as of December 2011, the aggregate average number of requests was 1,193,630 a year. "We have tried many times. We have sought out information from the telecoms to find out," Bernier said. "They've given us very general comments." The association confirmed it provided the privacy commissioner's office with "an aggregate number of lawful access requests" a few years ago. "It was a one-time exercise and hasn't been repeated since," spokesman Marc Choma said in an email. 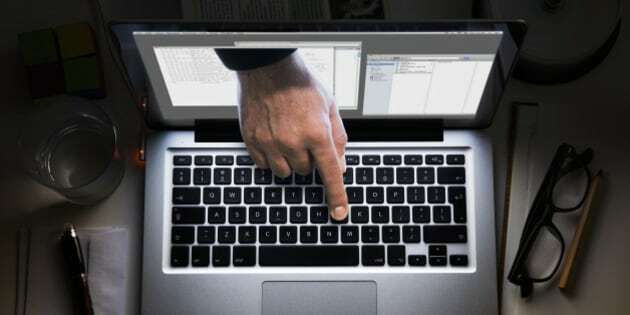 NDP consumer affairs critic Glenn Thibeault said the documents show privacy laws must be modernized and strengthened to better protect Canadians' personal information. Last month, the Chronicle Herald newspaper in Halifax reported the Canada Border Services Agency alone accessed telecom customer data almost 19,000 times over one year — and no warrant was used more than 99 per cent of the time. The law allows Canadian telecom companies and Internet providers to hand over customer information without a court order to help law-enforcement investigations. Bernier said she would like to see statistics published so Canadians know how many times their personal information is given to the government without a warrant. "It would give a form of oversight by empowering citizens to see what the scope of the phenomenon is." In January, Bernier's office released a report calling on Communications Security Establishment Canada — the federal government's electronic eavesdropping agency — to tell Canadians more about what it's doing. One of the recommendations, intended to bolster protection of privacy rights in national security efforts, called on CSEC to disclose annual statistics on cases in which it assists other federal agencies with requests for interception, which can include monitoring of Canadians. The privacy commissioner's office has received 170 complaints about the way Bell (TSX:BCE) collects and uses its customers' personal information to target online advertisements, she said. Representatives from Bell are scheduled to appear before the same Senate committee on Wednesday.